Known as the gateway to the Santa Monica Mountains, Calabasas is a highly desirable place to call home in northern Los Angeles County. Most people associate Calabasas with affluent neighborhoods, high-end shopping and and a charming vibe that feels more like a small town than a popular city in bustling LA County, all of which are accurate. Between the gorgeous city mansions, gated Calabasas apartments and communities, tree-lined streets and star-studded shopping centers is a tight-knit community just 30 minutes from Malibu beaches and steps from one of California’s most beautiful nature preserves. Where else can you find all of this packed into one city? Calabasas residents and visitors have their pick of shopping destinations, from the Common at Calabasas - an award-winning, open-air shopping center with more than 35 shops, restaurants and entertainment options, complete with its own on-site concierge - to charming Old Town Calabasas, Creekside Village and Gelson’s Village. If it’s green space you’re looking for, you’ll have plenty to do just steps from Calabasas apartments, from the nearby foothills of the Santa Monica Mountains so the city’s walking, jogging and biking trails that give people a front-row view of the breathtaking scenery and the stunning homes that dot the natural Southern California landscape. Shopping isn’t the only thing keeping Calabasas residents and visitors busy. The local farmers market in Old Town Calabasas is a haven for those looking for the best local produce, baked goods and prepared foods, and nearby parks and city playgrounds just outside Calabasas apartments offer plenty of room to stay active, relax and stretch out in the sunshine. But one of the most-loved parts of living in Calabasas is the city’s events calendar, which offers seasonal, year-round attractions that are perfect for the whole family. Celebrate America at the Calabasas 4th of July Spectacular, head over to the annual Pumpkin Festival - a truly special event, because city lore suggests Calabasas is named for “calabazo,” the Spanish word for pumpkin or wild gourd - the city’s summertime concert series and more. 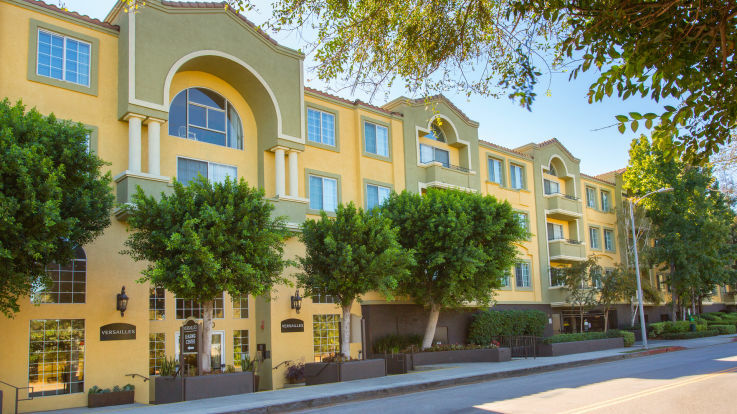 Whether you’re headed toward Malibu, Thousand Oaks, Santa Monica or Downtown LA from the city’s Calabasas apartments, your commute will be an easy one, thanks to the area’s easily accessible highways. The 101 borders Calabasas’ northern border, with Route 27 running directly down the east side. About 30 minutes south, once you’re headed toward Malibu and Santa Monica, is the PCH, which runs along California’s picturesque coast. No matter where you go in Calabasas or outside the city’s limits, you’re sure to experience Southern California living at its finest.